APPLETON, Wis., April 9, 3018 /PRNewswire/ — While 2017 was a year of steady improvement and unusually low volatility for global financial markets, the first quarter of 2018 ushered in a change in that environment. The Endowment Index™ rose 5.51% through January 26th, 2018 as investors focused on changes in U.S. tax policy and favorable corporate earnings. Thereafter, concerns over rising U.S. interest rates translated into a correction in global markets that pushed the Index to its quarterly low of 1,231.44, (-2.34% YTD) on February 8th. Changes in U.S. trade policy with respect to tariffs put a damper on the ensuing bounce, and the Index closed nearly unchanged to end the quarter. Eight of the Index’s nineteen components posted gains during Q1, with natural resources-timber (+2.58%), gold (+2.09%), and emerging markets (+1.20%) posting the largest gains. Of the eleven components posting declines, domestic real estate (-8.12%), natural resources- metals & mining (-4.18%), and emerging market bonds (-2.16%) posted the greatest declines. The Endowment Index™ represents the investable opportunity for managers of portfolios utilizing the Endowment Investment Philosophy™ or who otherwise incorporate alternative investments within a comprehensive asset allocation. The Index provides an objective tool used for portfolio comparison, investment analysis, and research and benchmarking by fiduciaries, trustees, portfolio managers, consultants and advisers to endowments, foundations, trusts, defined benefit/contribution plans and individual investors. 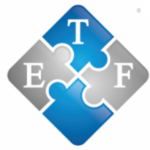 ETF Model Solutions, LLC serves its clients as an ETF strategist, designing and managing ETF-based investment solutions for advisers, institutions, retirement plans and individual investors based upon the Endowment Investment Philosophy™. The Firm offers ETF-based diversified target-risk models and asset class models for use by investment advisers and retirement plans. ETF Model Solutions, LLC also provides digital investment services to individual investors through the website, www.MyRoboAdviser.com. The Endowment Index™ uses an objective, rules-based construction methodology based upon the portfolio allocations of over 800 educational institutions managing over $500 billion in total assets. Each of the 19 sub-indexes that currently comprise the index are investable, and contained within those sub-indexes are over 33,000 underlying securities. Real-time pricing data on the Endowment Index™ can be viewed under the symbol “ENDOW” through major quote providers, including Bloomberg as well as public websites such as Google and Yahoo Finance. The Morningstar® Index ID for the Endowment Index™ is F00000TPG6. Disclosure: Information presented is for educational purposes only and is not intended as an offer or solicitation for the sale or purchase of any specific securities, investments, or investment strategies, nor shall it be construed to be the provision of investment advice. Past performance is not necessarily indicative of future results. Investments involve risk and unless otherwise stated, are not insured or guaranteed. Be sure to consult with a qualified financial adviser and/or tax professional before implementing any investment strategies discussed herein. ETF Model Solutions, LLC is registered as an investment adviser with the SEC. ETF Model Solutions is an affiliate of Endowment Wealth Management, Inc., an SEC registered investment adviser. Registration does not imply any level of skill or training, nor does it imply endorsement by the SEC or and other securities regulatory authority. You cannot invest directly in an index. Indexes do not contain fees. Performance information contained in this presentation is provided net of any underlying exchange-traded fund expenses, does not include any other fees or expenses. Past performance is not necessarily indicative of future results. A copy of the Firm’s disclosure document, Form ADV Brochure Part 2, is available upon request. Copyright ETF Model Solutions™, LLC All rights reserved. Website Disclosure | Blog Terms & Conditions Rubik’s Cube®, used by permission of Rubik’s Brand Ltd www.rubiks.com.